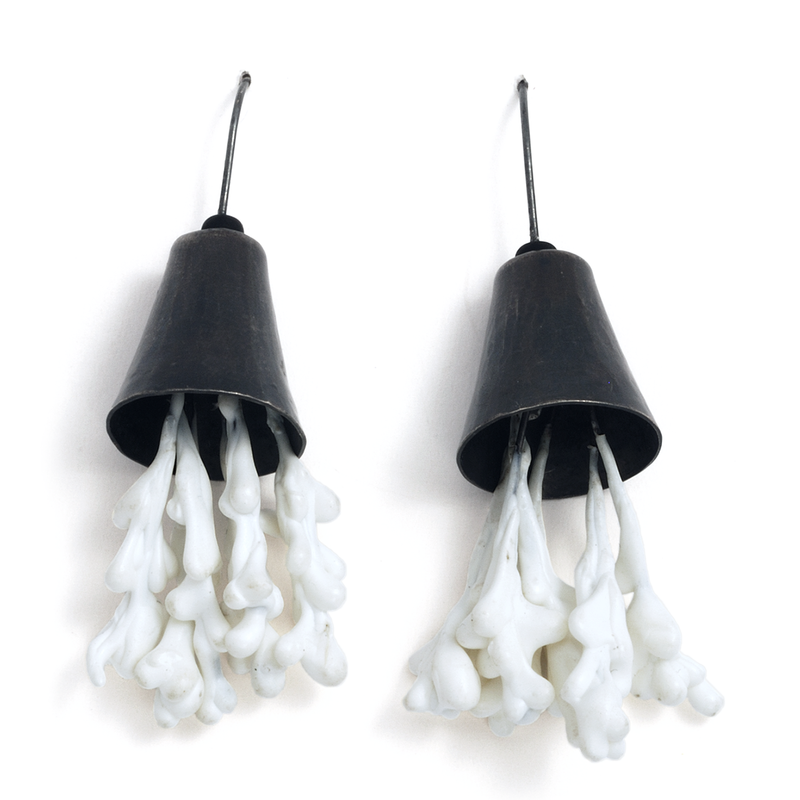 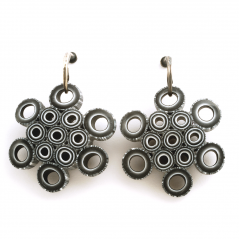 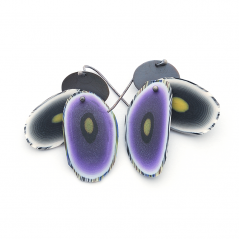 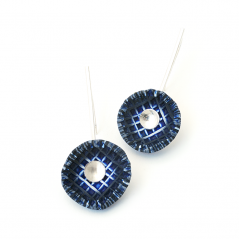 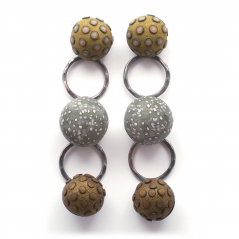 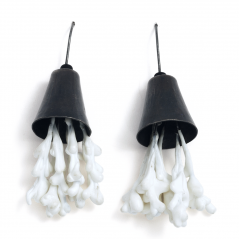 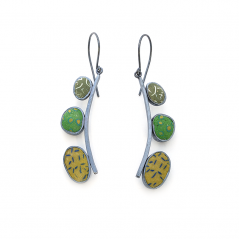 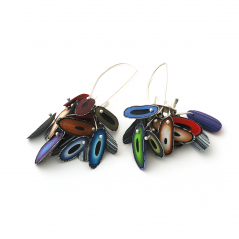 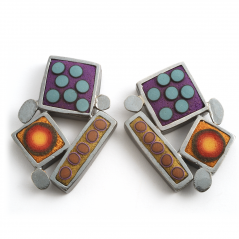 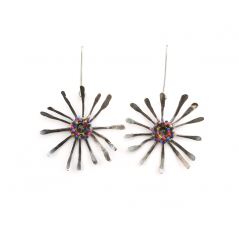 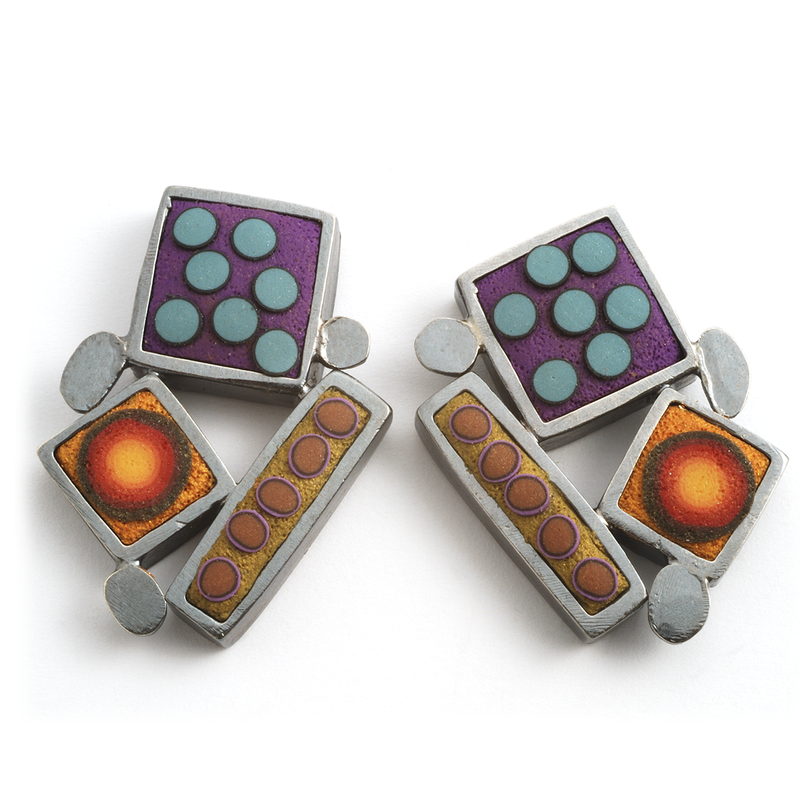 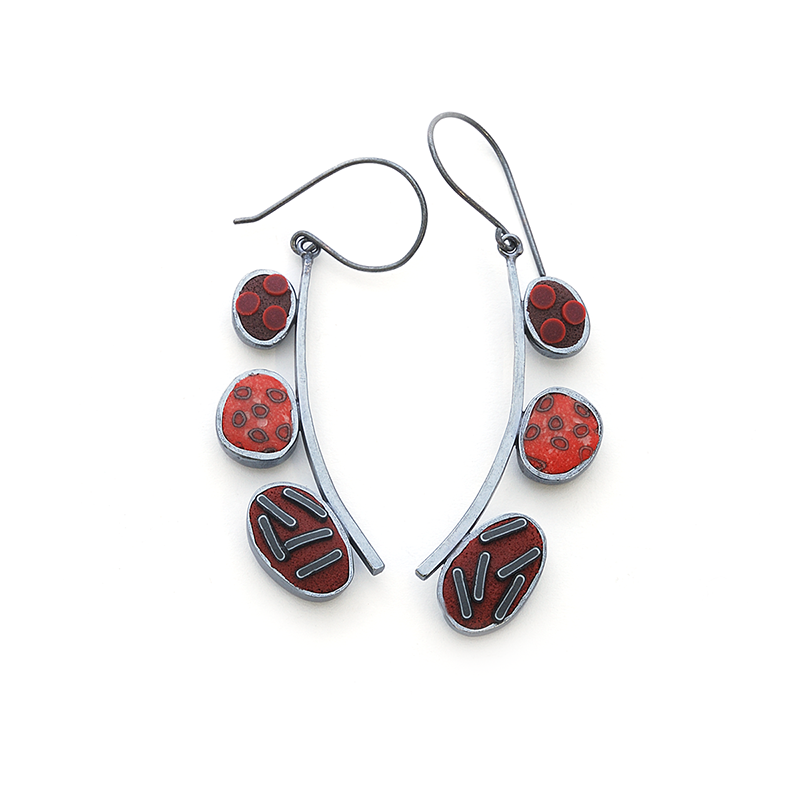 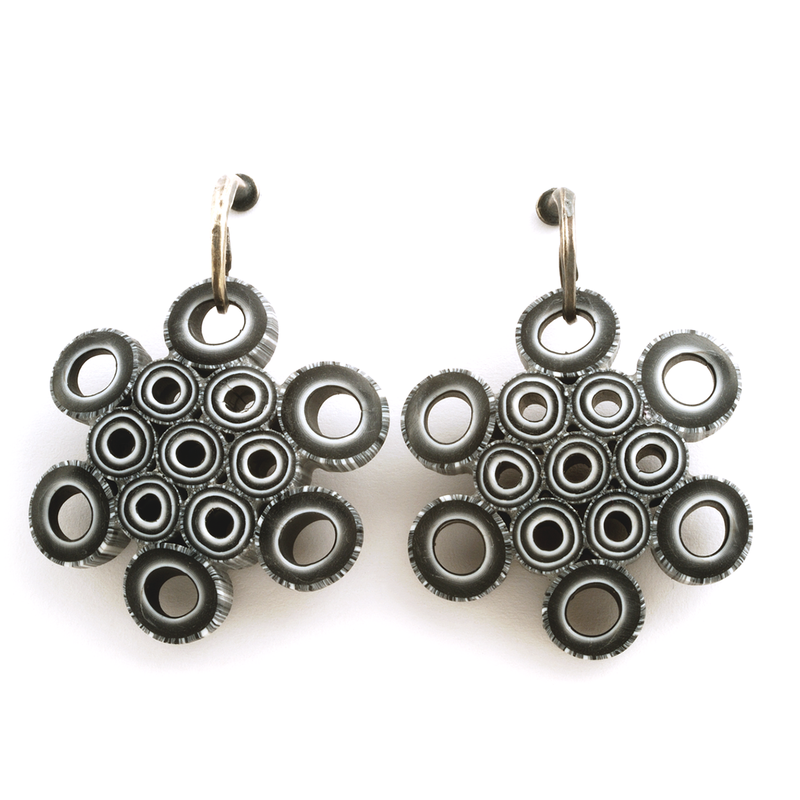 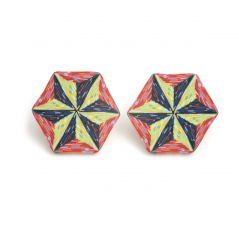 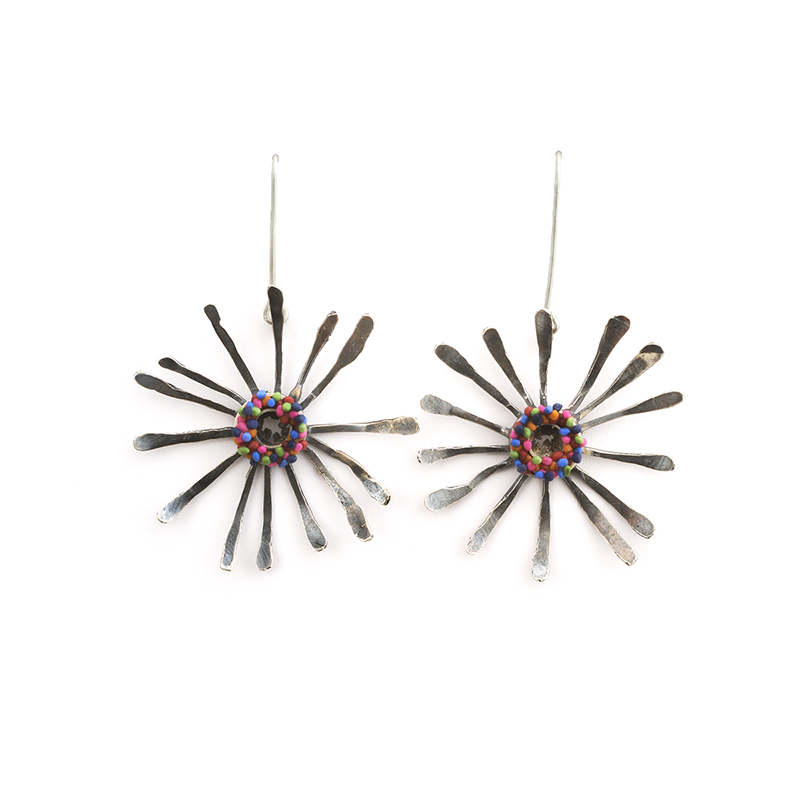 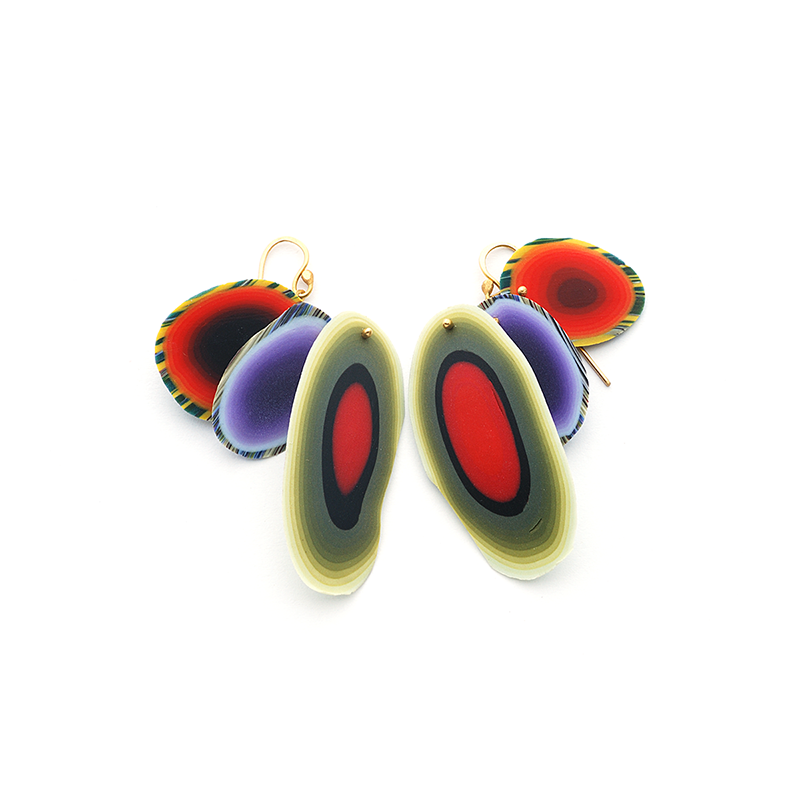 Calder Earrings (008), 2012, polymer & sterling, 1 3/4 x 1 3/4 x 1/2″, $450. 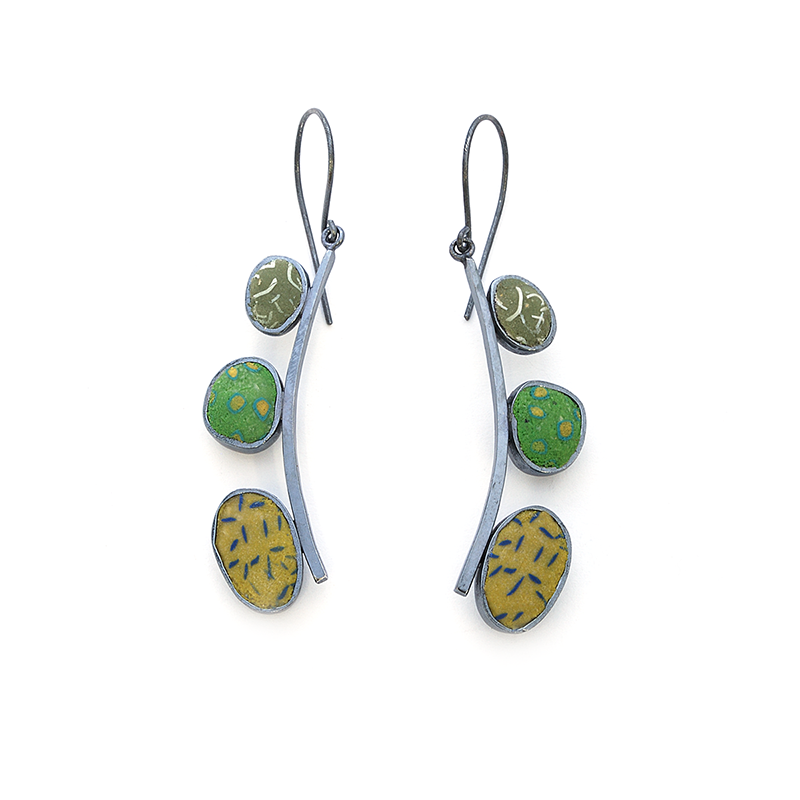 Calder Earrings (008), 2012, polymer & sterling, 1 3/4 x 1 3/4 x 1/2″, $450. 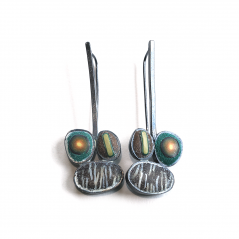 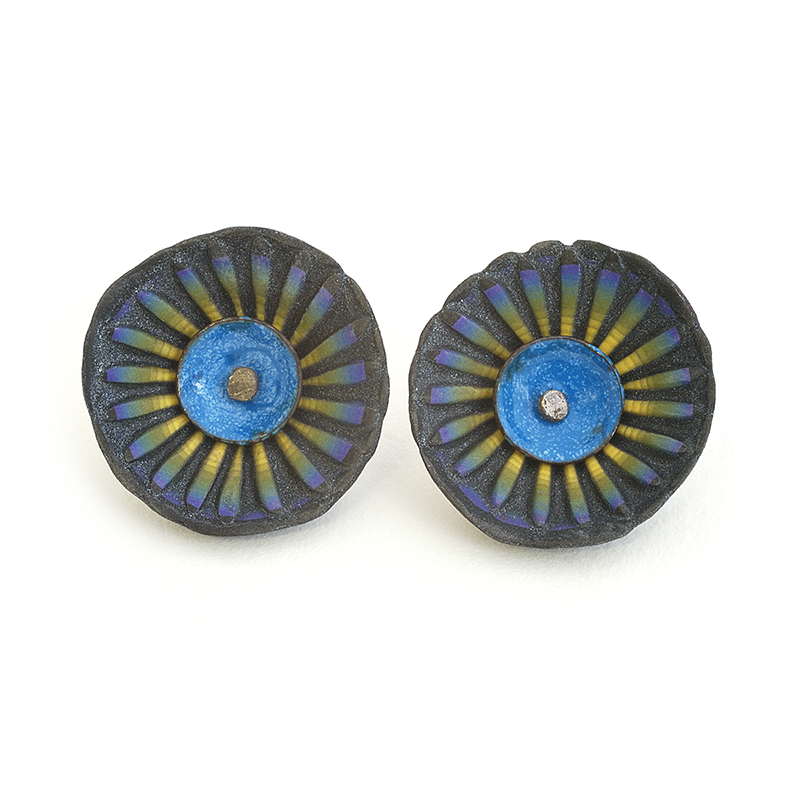 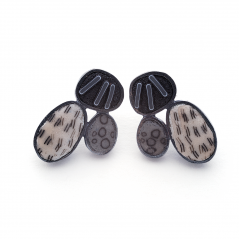 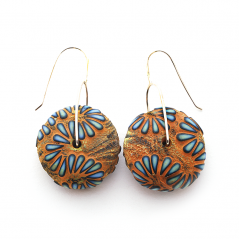 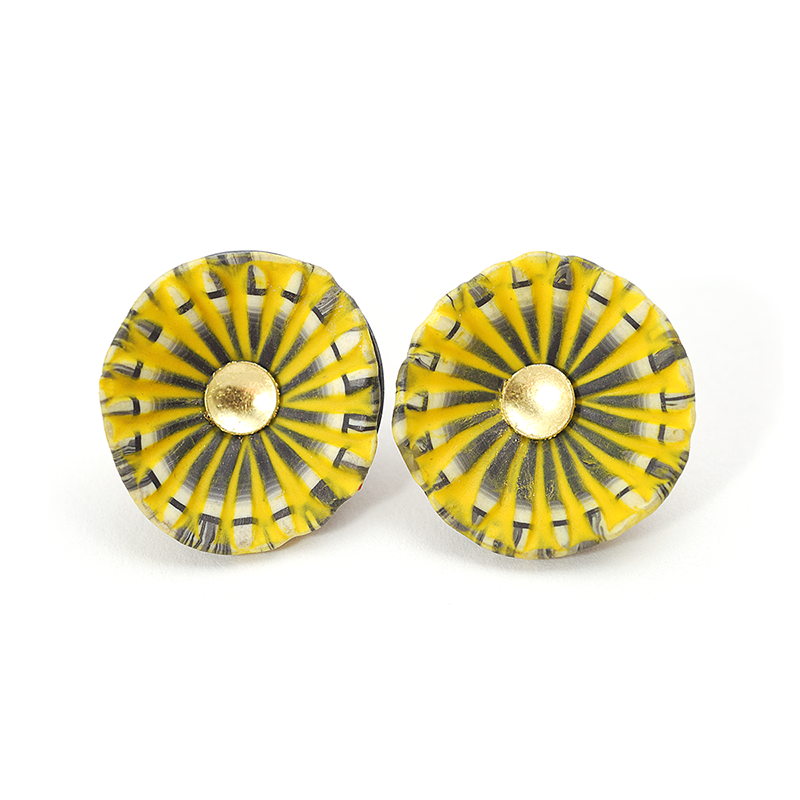 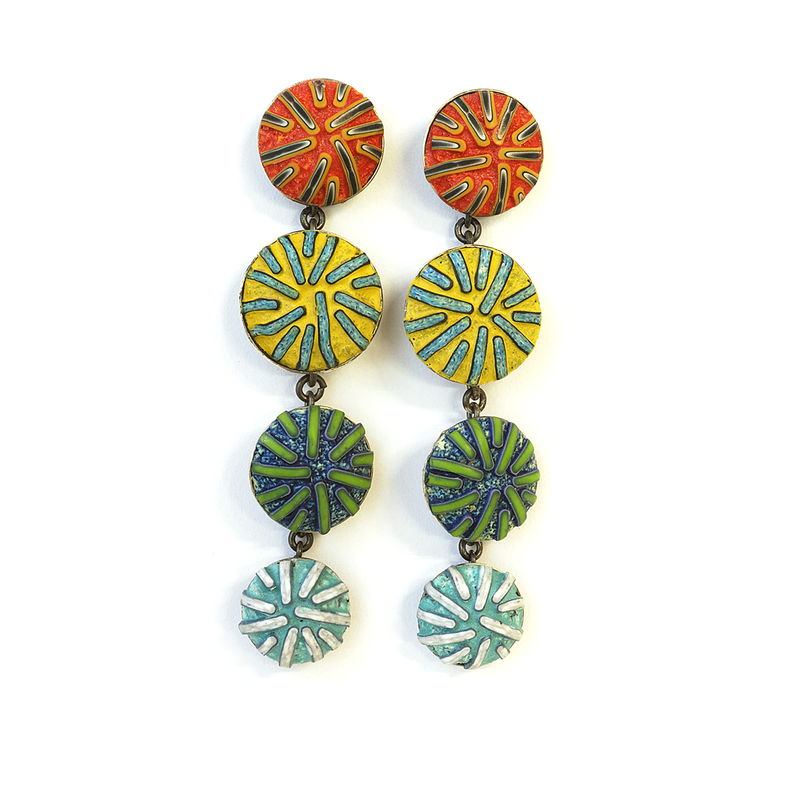 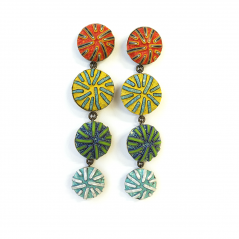 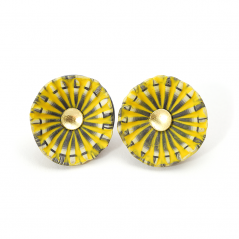 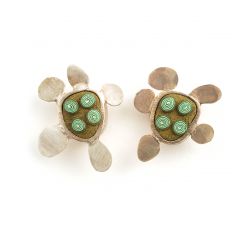 Shell Earrings (202), 2014, polymer, enamel & sterling, gold posts, 1 x 1 x 1/2″, $200. 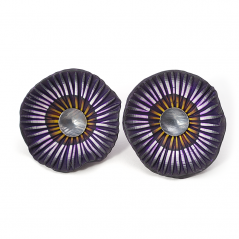 Shell Earrings (202), 2014, polymer, enamel & sterling, gold posts, 1 x 1 x 1/2″, $200. 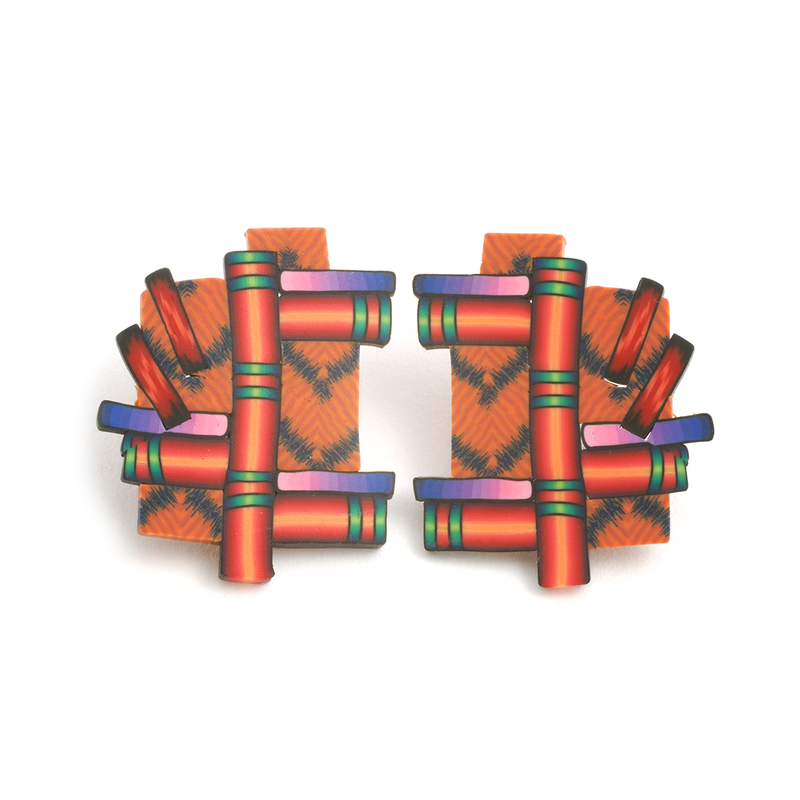 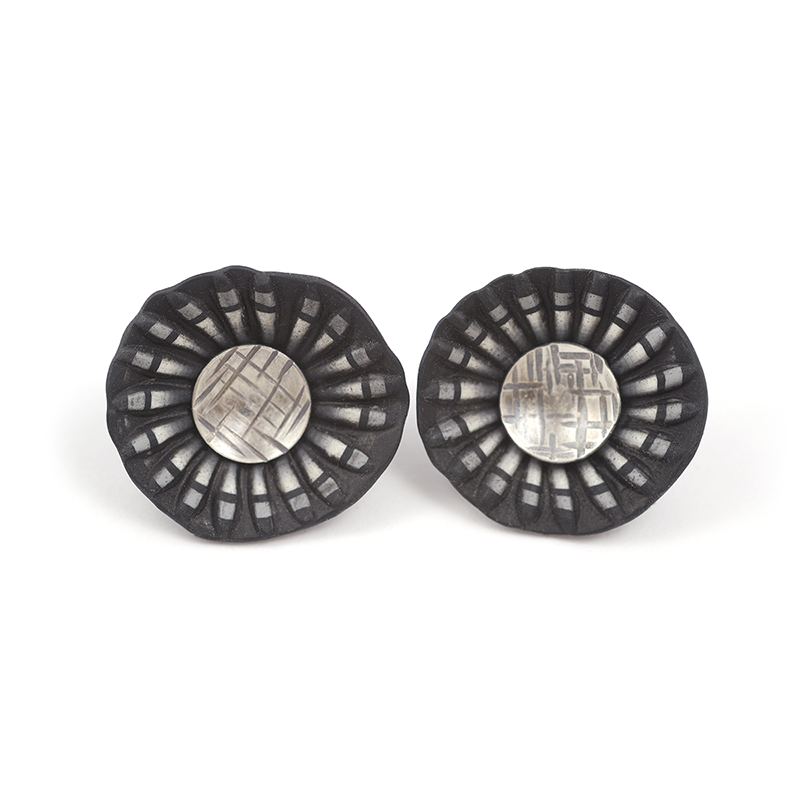 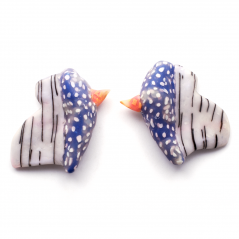 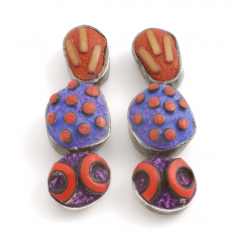 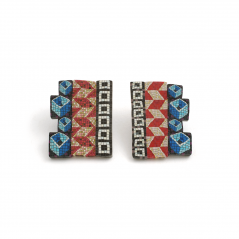 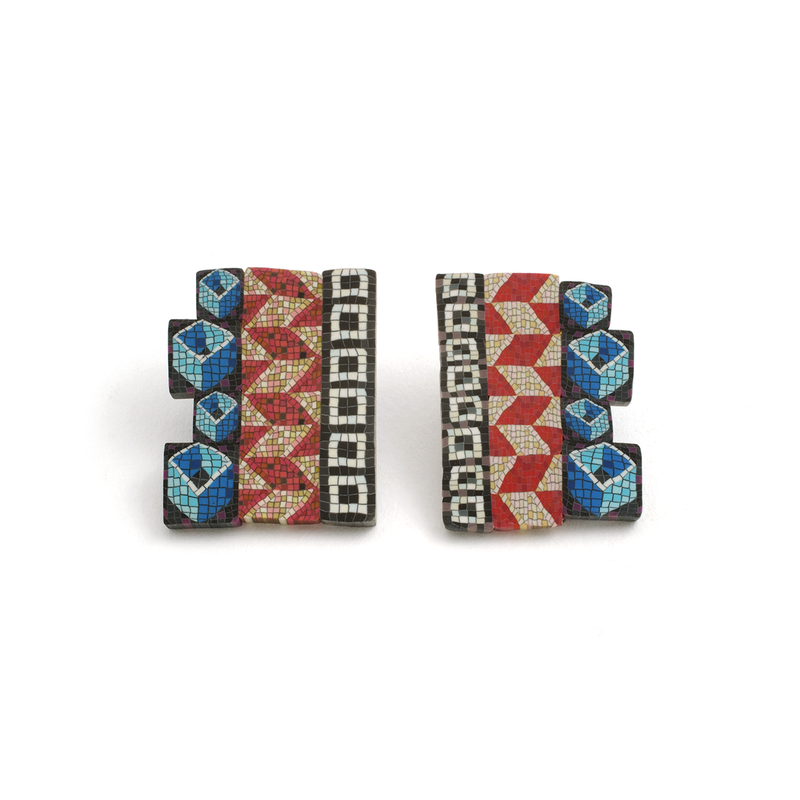 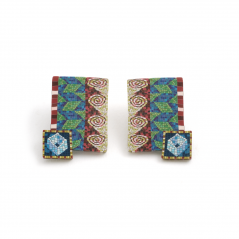 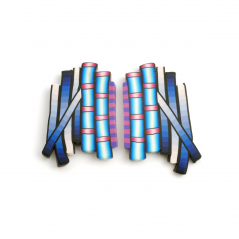 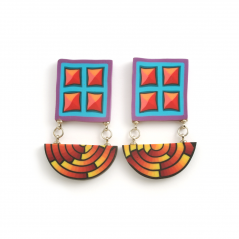 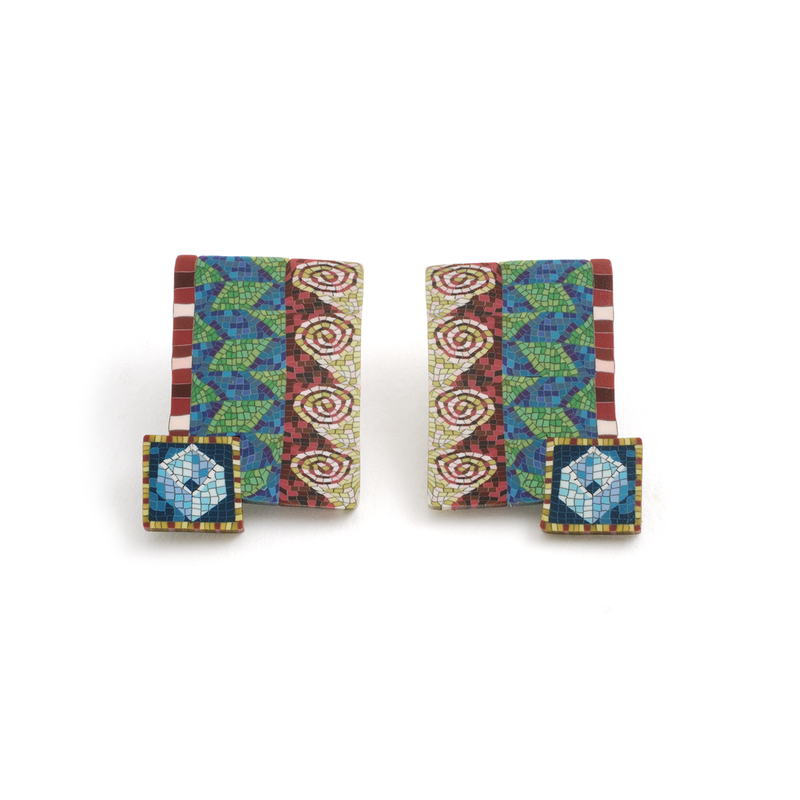 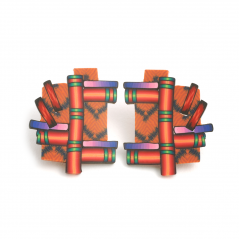 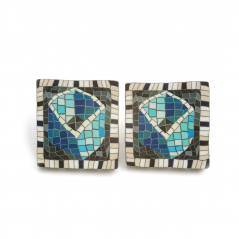 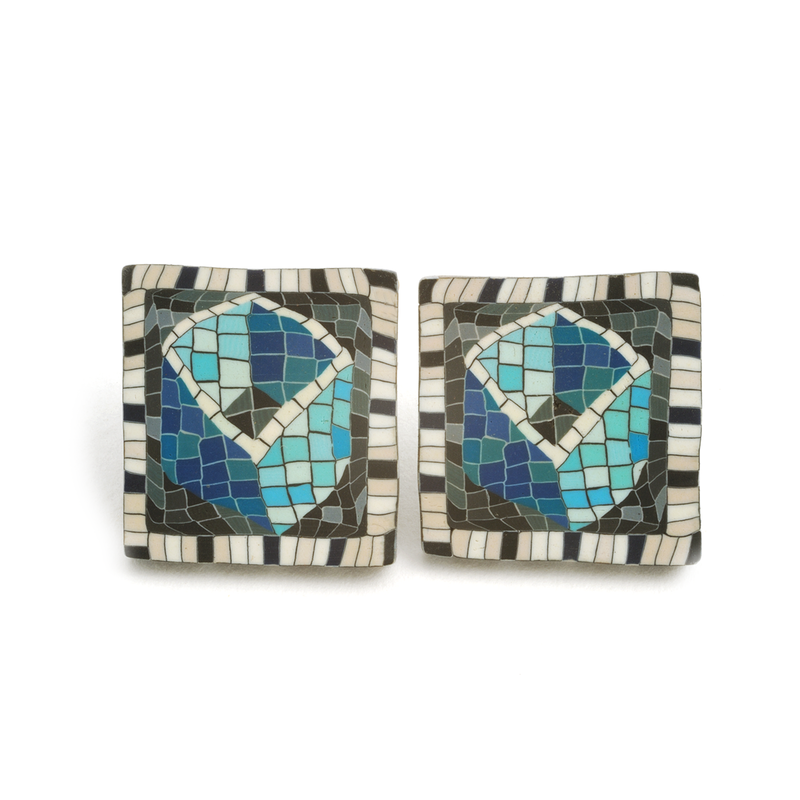 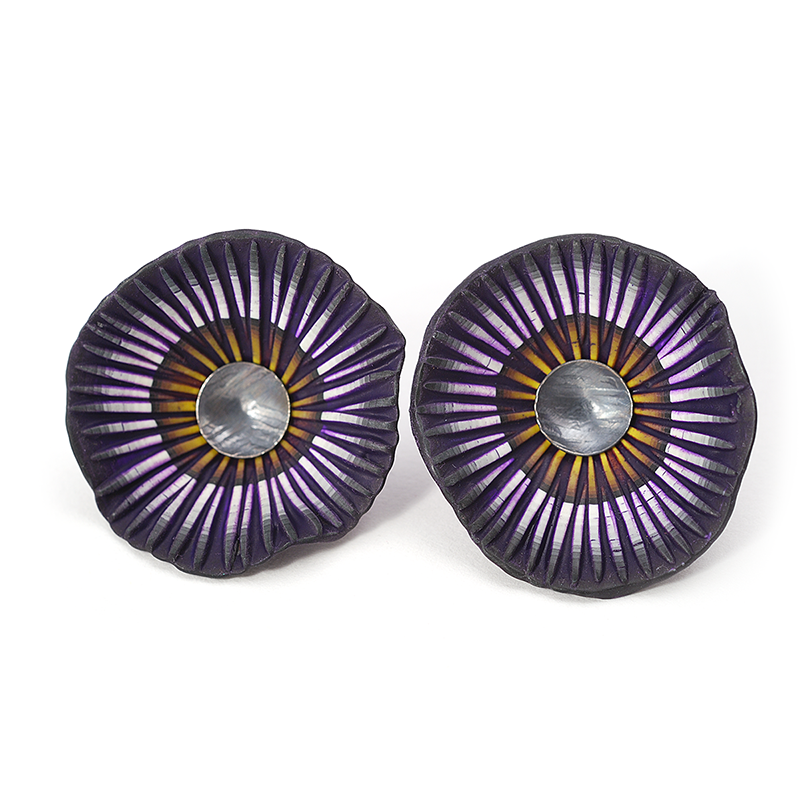 Chip Earrings (008), 2015, polymer & sterling, 3/4 x 3 1/4 x 1/4″, $550. Chip Earrings (008), 2015, polymer & sterling, 3/4 x 3 1/4 x 1/4″, $550. Button Earring (171), 2016, polymer & sterling, 3/4 x 3/4x 1/2″, $200. Button Earring (171), 2016, polymer & sterling, 3/4 x 3/4x 1/2″, $200. 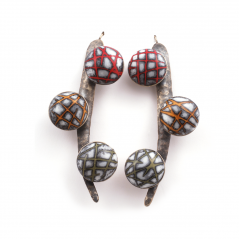 Ball Earring (017), 2016, polymer & sterling, 1 1/4 x 1 1/4 x 2 1/4″, $250. Ball Earring (017), 2016, polymer & sterling, 1 1/4 x 1 1/4 x 2 1/4″, $250. 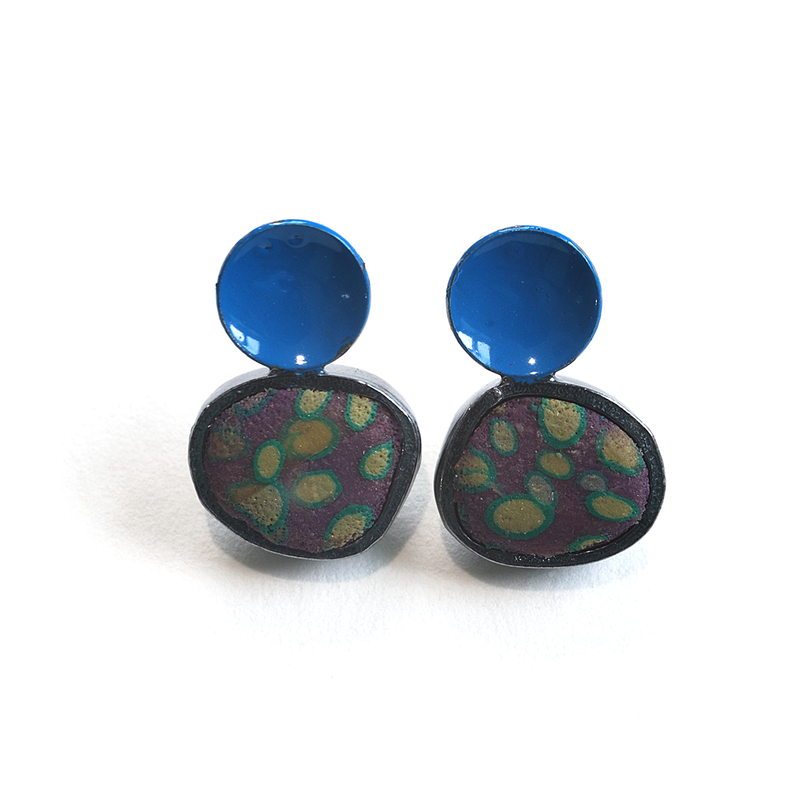 Button Earring (177), 2016, polymer & sterling, 1x 1 1/4 x 1/2″, $250. 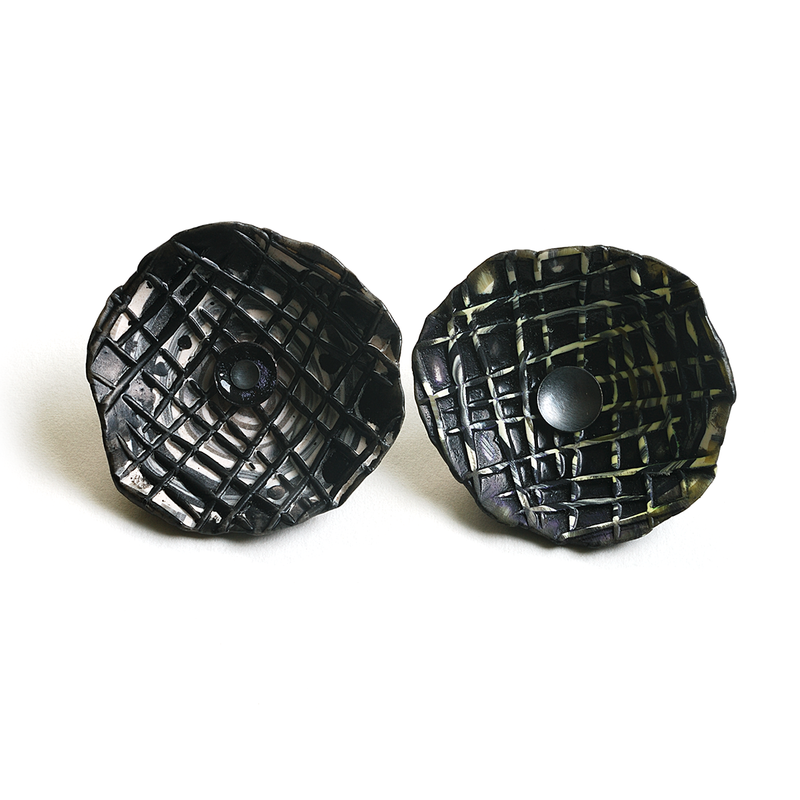 Button Earring (177), 2016, polymer & sterling, 1x 1 1/4 x 1/2″, $250. 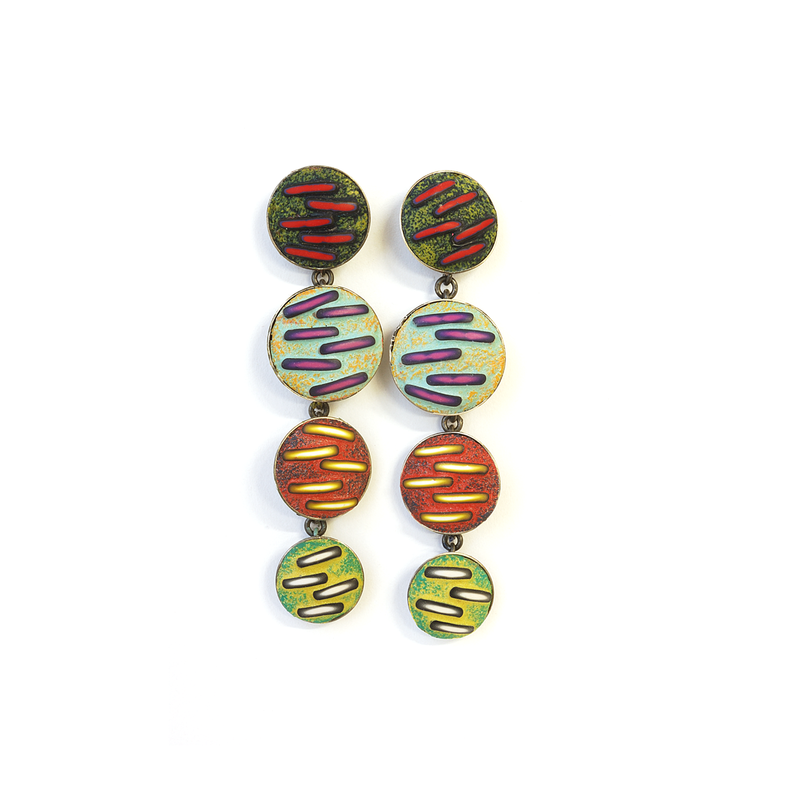 Chip Earrings (013), 2016, polymer & 22K gold, 11/2 x 2 3/4 x 1/4″, $600. 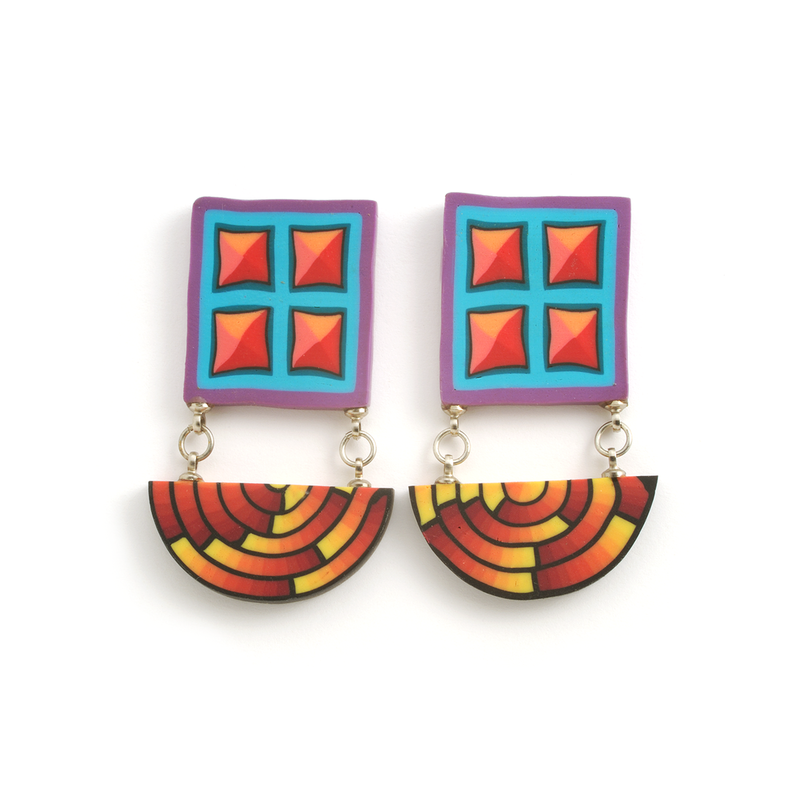 Chip Earrings (013), 2016, polymer & 22K gold, 11/2 x 2 3/4 x 1/4″, $600. 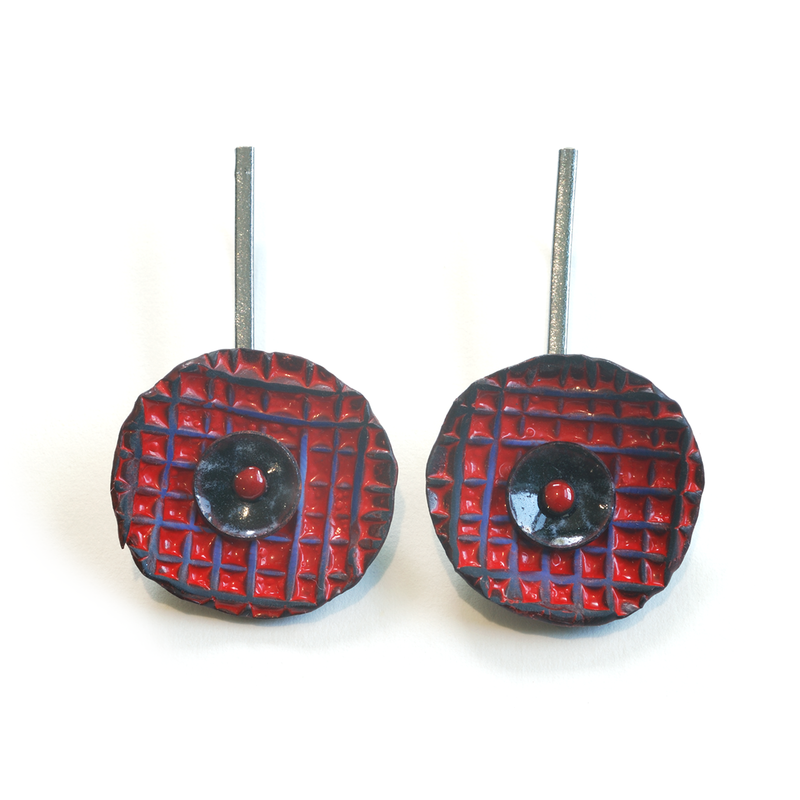 Button Earring (176), 2016, polymer & sterling, 1x 1 1/4 x 1/2″, $250. 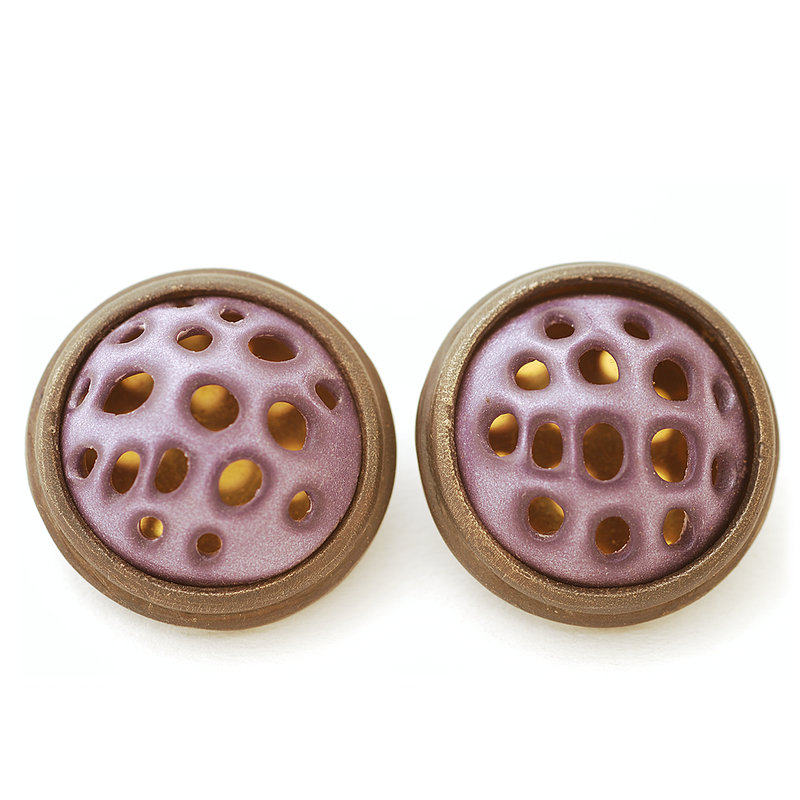 Button Earring (176), 2016, polymer & sterling, 1x 1 1/4 x 1/2″, $250. 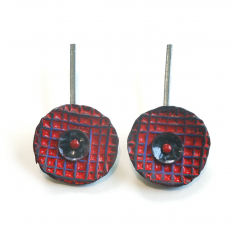 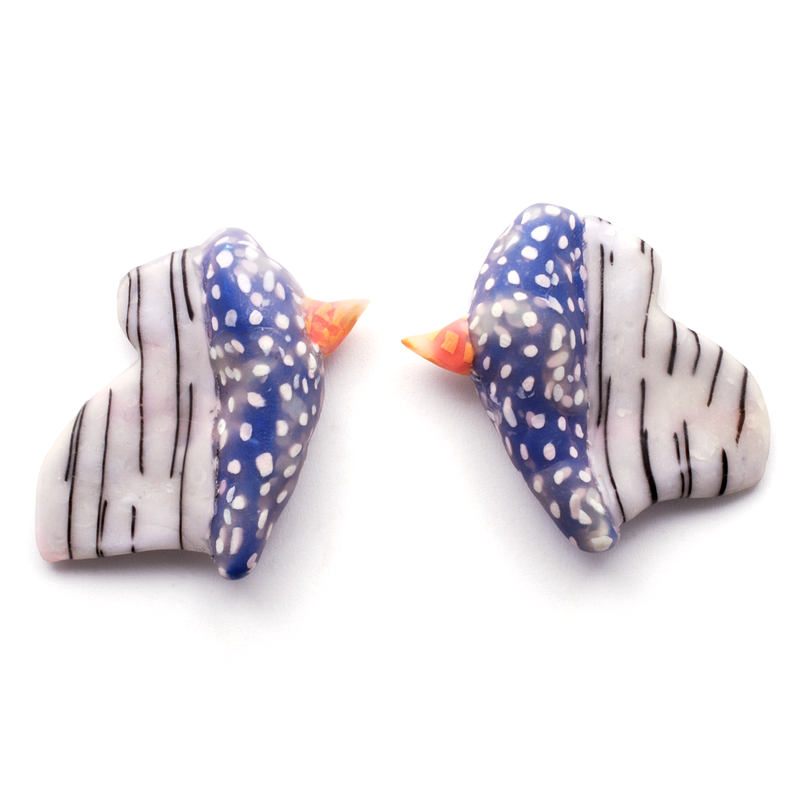 Chip Earrings (014), 2016, polymer & sterling, 1 x 1 5/8 x 1/4″, $350. 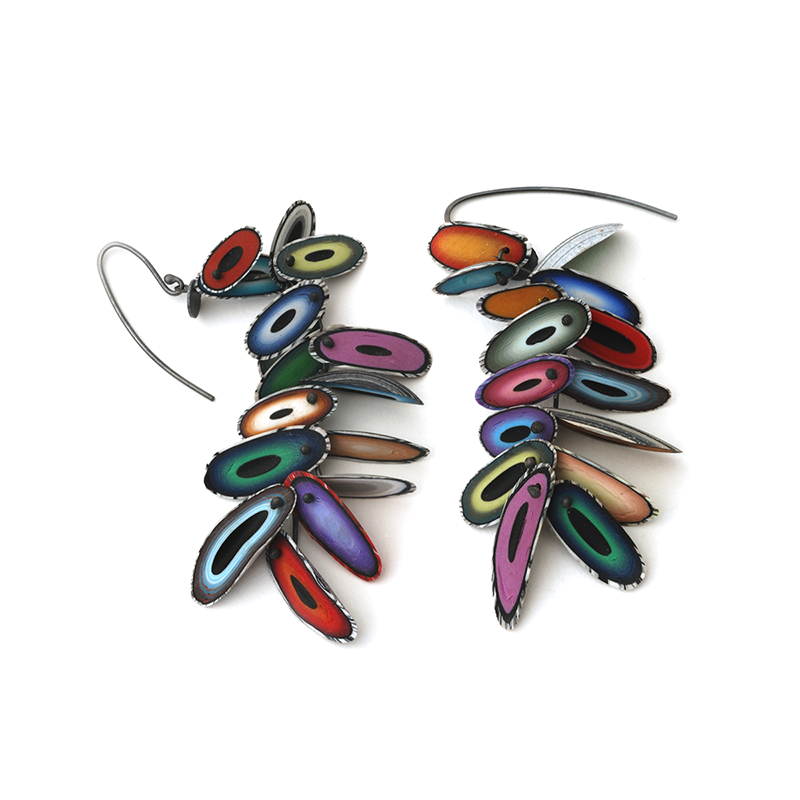 Chip Earrings (014), 2016, polymer & sterling, 1 x 1 5/8 x 1/4″, $350. 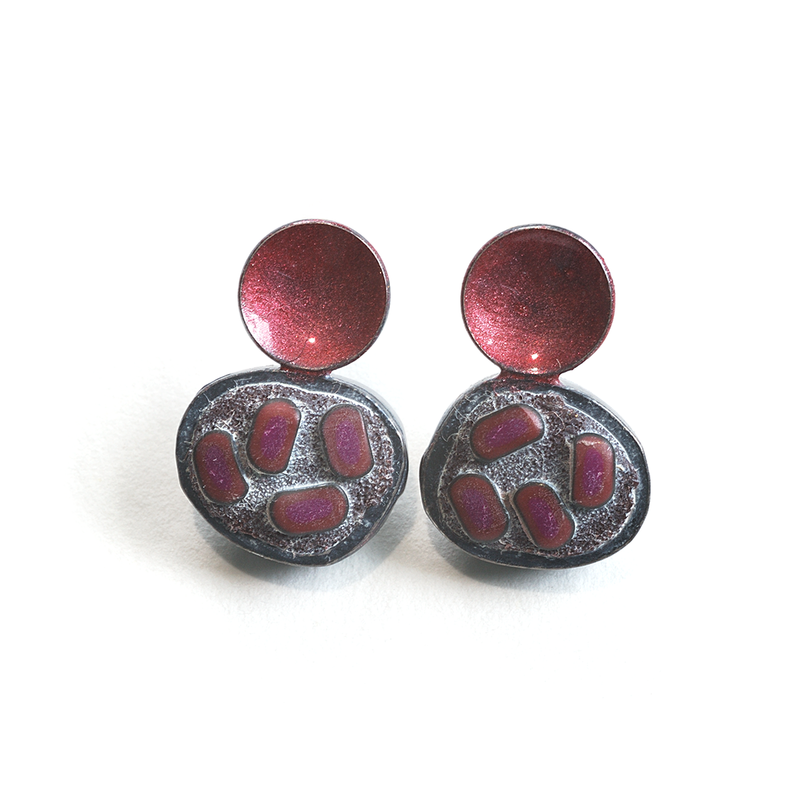 Pebble Earrings (201), 2016, polymer & sterling, 3/8 x 2 x 1/4″, $300. 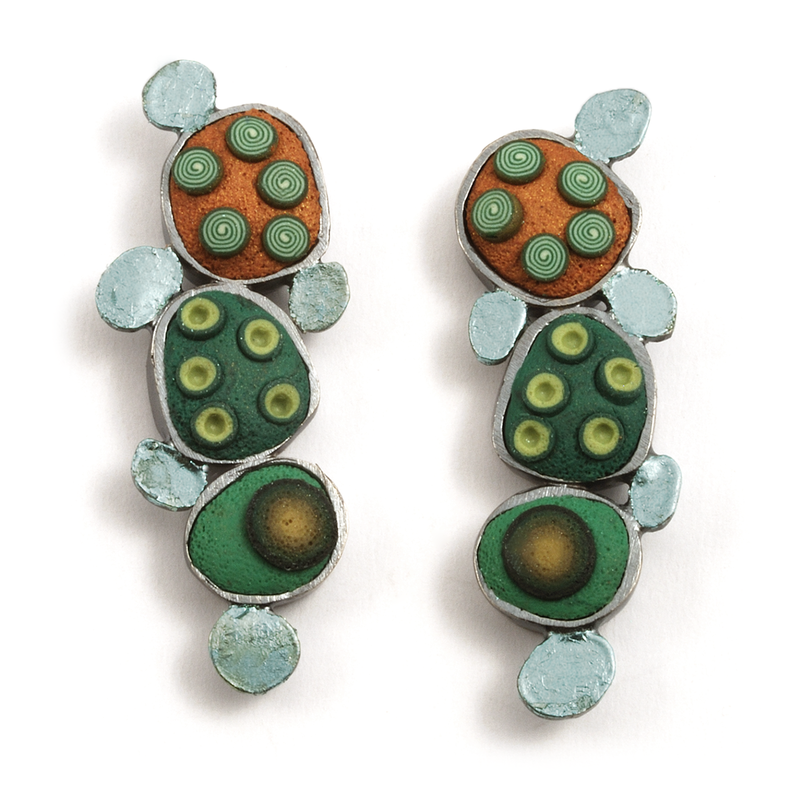 Pebble Earrings (201), 2016, polymer & sterling, 3/8 x 2 x 1/4″, $300. 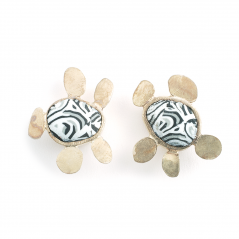 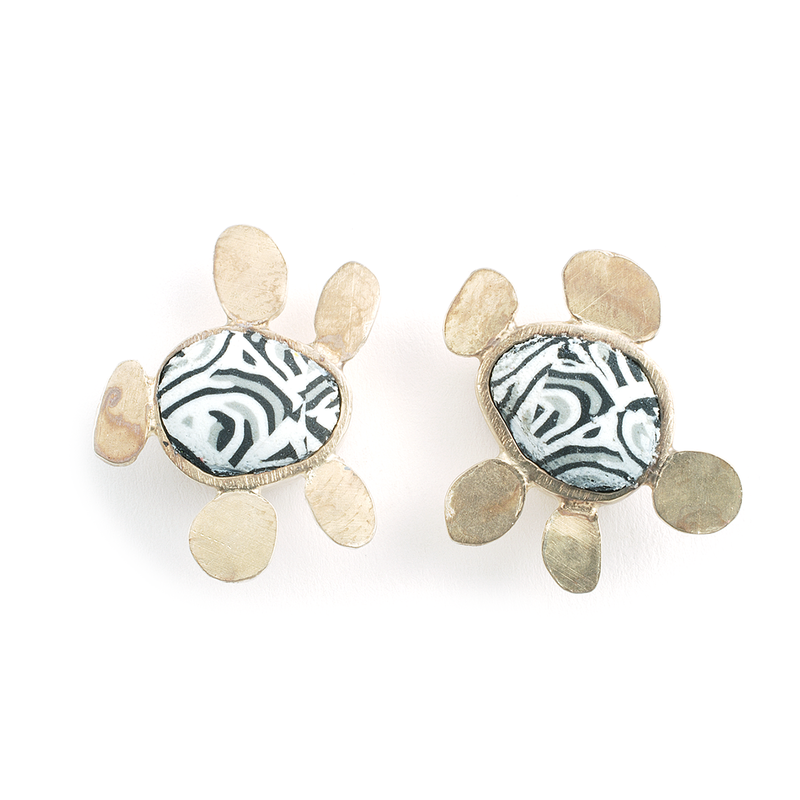 Shell Earrings (076), 2012, polymer & sterling, gold posts, 1 x 1 x 1/2″, $200. 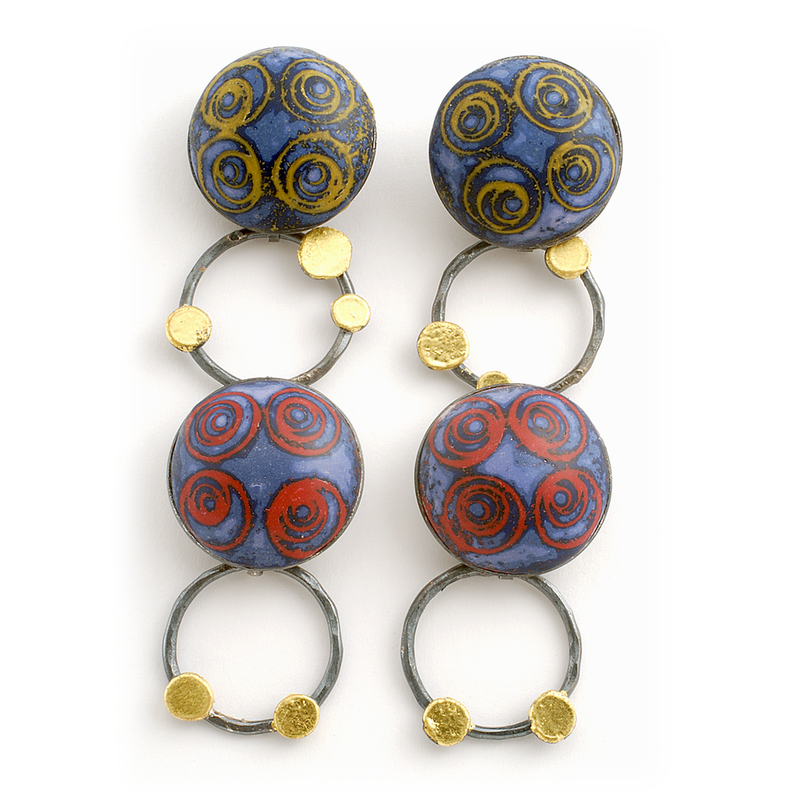 Shell Earrings (076), 2012, polymer & sterling, gold posts, 1 x 1 x 1/2″, $200.